Les témoins (cookies) nous aident à fournir nos services. En utilisant nos services, vous acceptez notre utilisation des témoins. Taille de cet aperçu : 527 × 600 pixels. Autres résolutions : 211 × 240 pixels | 915 × 1 041 pixels. Ce fichier provient de OpenMedia. Il peut être utilisé par d'autres projets. Sa description sur sa page de description est affichée ci-dessous. 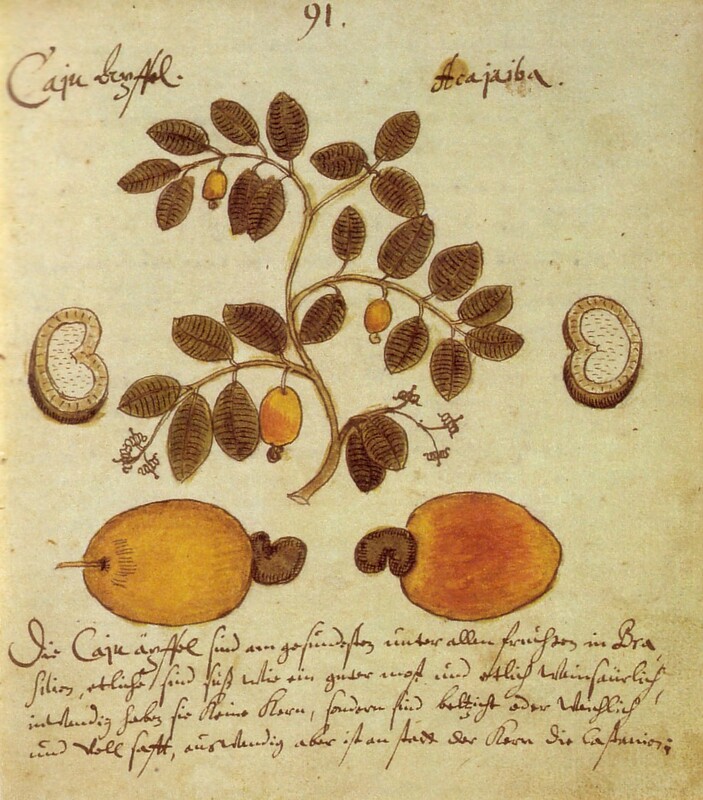 This media item is originally from http://commons.wikimedia.org/wiki/File:CasparSchmalkalden_Anacardium.jpg, last uploaded by Steffen Löwe Gera; it was copied to a local repository as a caching mechanism to speed up page rendering and to prevent links to break when media items are renamed on commons. For a full list of earlier authors and contributors please refer to the file version history and the metadata version history in the repository from which this media item has been copied. La source de ce fichier n’est pas indiquée. Merci de modifier la page de description du fichier et de fournir sa source. This is not an apple, this is is Cashew ( Anacardium occidentale / Cashew nuts ). This image (or other media file) is in the public domain because its copyright has expired. This applies to Australia, the European Union and those countries with a copyright term of life of the author plus 70 years. You must also include a United States public domain tag to indicate why this work is in the public domain in the United States. Note that a few countries have copyright terms longer than 70 years: Mexico has 100 years, Colombia has 80 years, and Guatemala and Samoa have 75 years, Russia has 74 years for some authors. This image may not be in the public domain in these countries, which moreover do not implement the rule of the shorter term. Côte d'Ivoire has a general copyright term of 99 years and Honduras has 75 years, but they do implement the rule of the shorter term. Ce fichier a été identifié comme étant exempt de restrictions connues liées au droit d’auteur, y compris tous les droits connexes et voisins. Cliquer sur une date et heure pour voir le fichier tel qu'il était à ce moment-là.